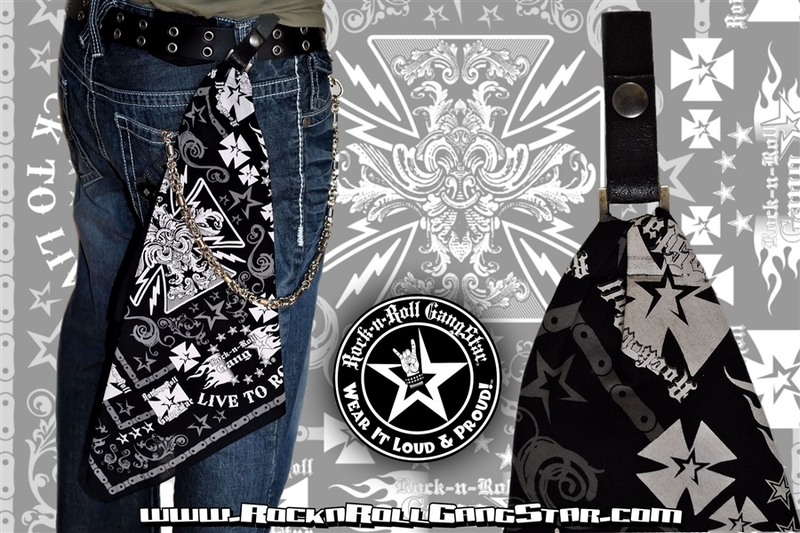 Rock-n-Roll GangStar "Biker Cross" design black bandana with metal buckle & leather adjustable snap assembly. 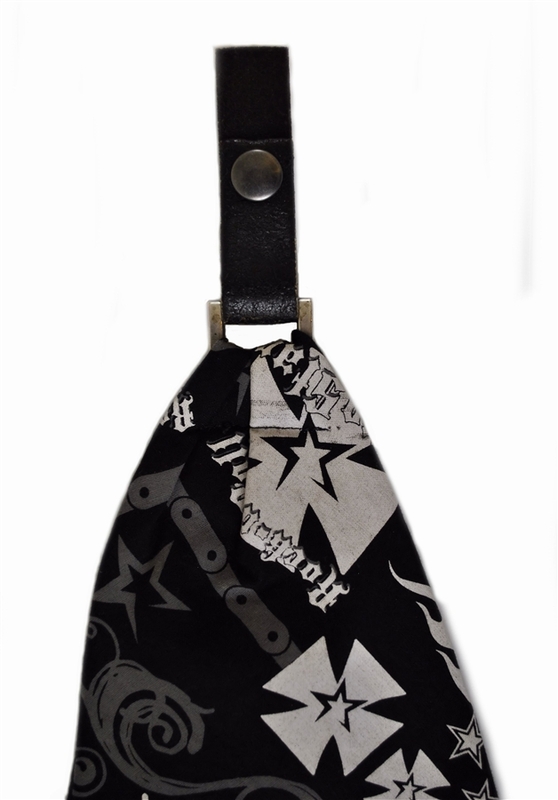 Bandana is professionally machine sewn to buckle & snap assembly. 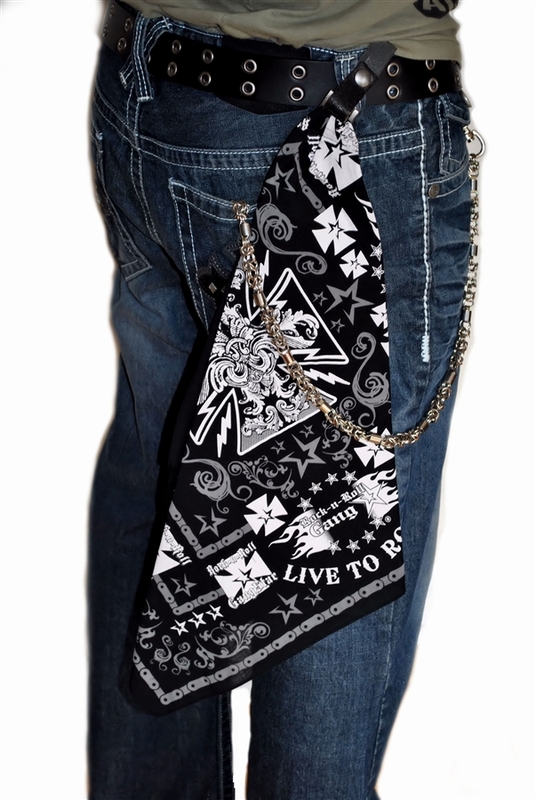 Snap it straight through your belt loop & no more lost bandanas! 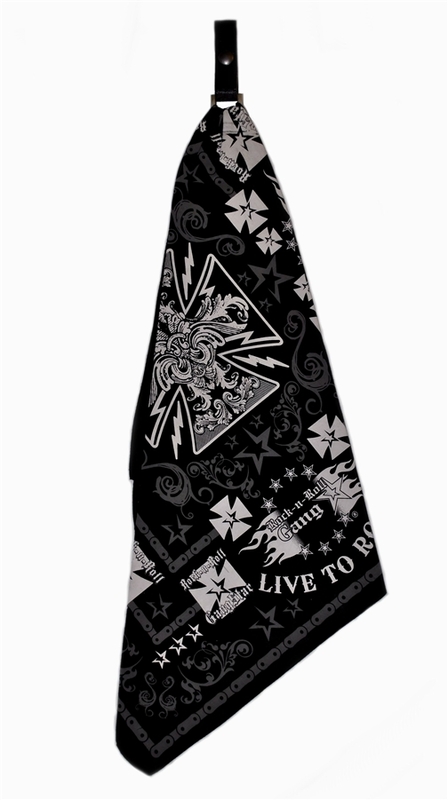 Pre-washed 100% cotton bandana. 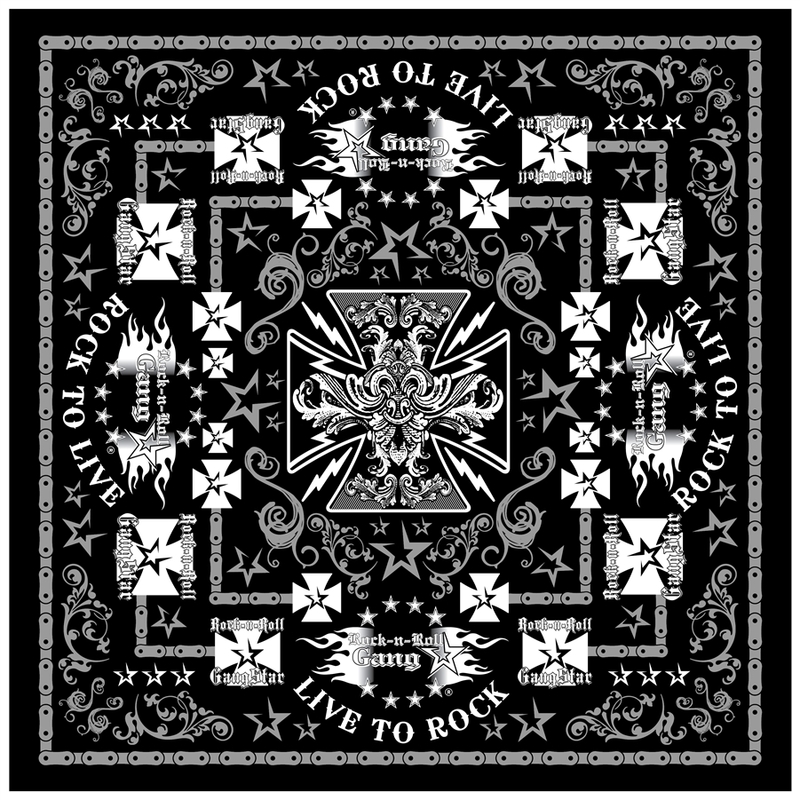 Discharge print, totally soft to the touch. Size 22"x22". 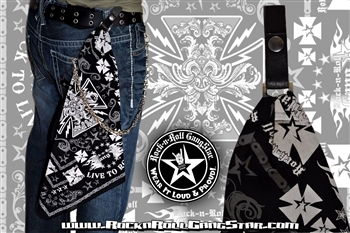 *Wallet chain not included.